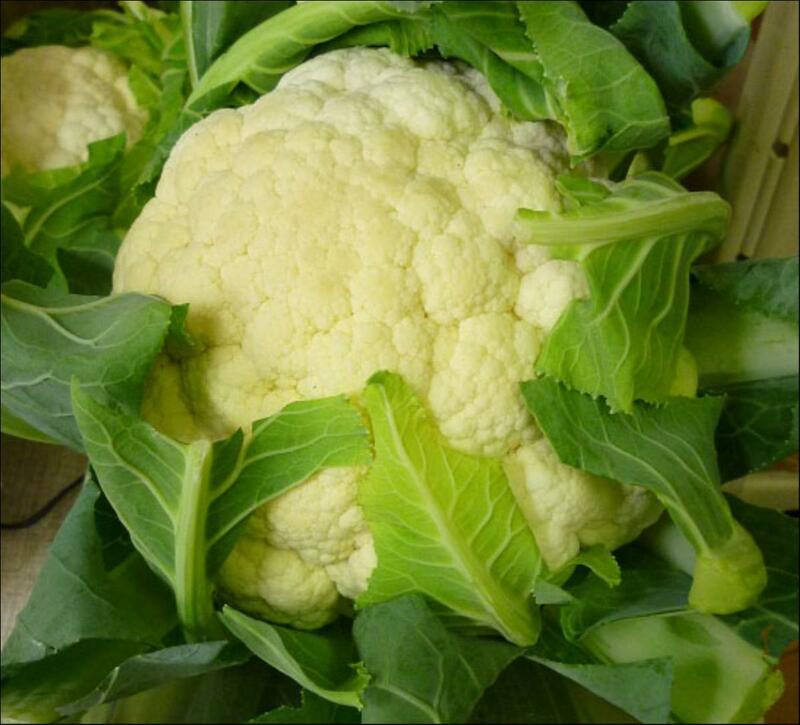 All Cauliflower: There are 10 products in this category. 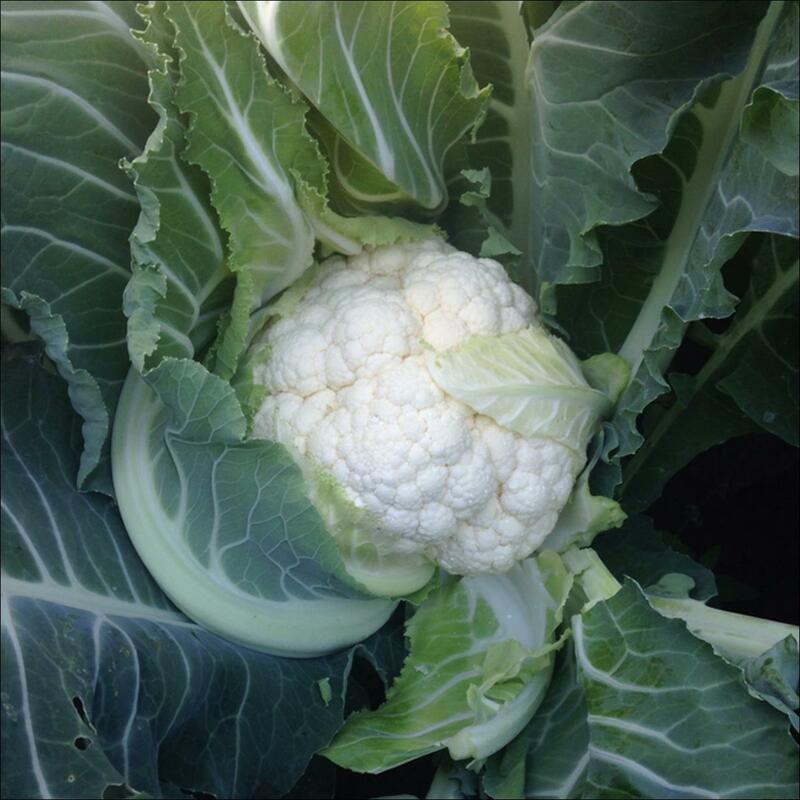 Chokuto has a good sized plant has excellent wrap is self covering with smooth, bright white heads. Chokuto can be harvested in Werribee during spring to early summer and the Lockyer Valley during the winter months. Eskimo has a strong vigorous plant, with excellent wrap over the curd. Heads are firm, white and weigh an average of 900g. 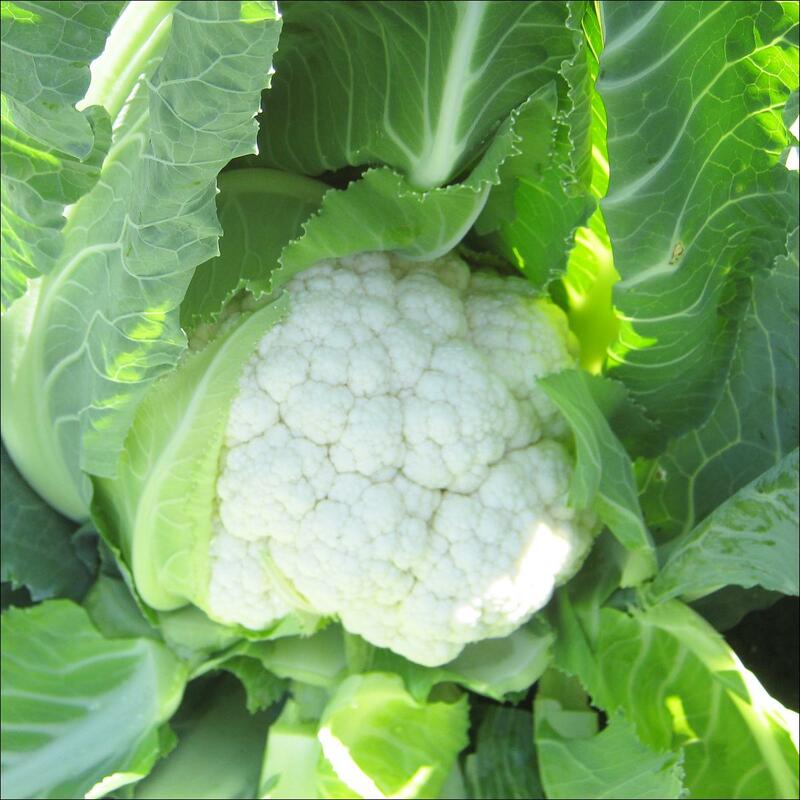 Eskimo matures in approximately14 weeks and is suited to spring and autumn harvest, but has also performed well in winter harvest for cool areas. 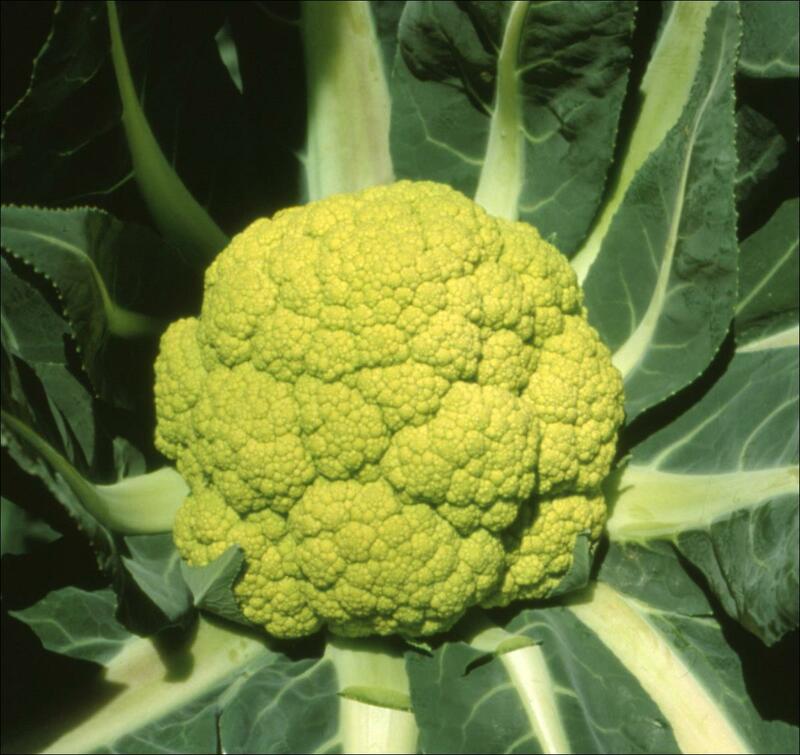 Geiko is a Mini Orange Cauliflower with maturity around 11 weeks. Harvest late autumn and winter for cold areas. Head size 80-100mm (160-220gms). 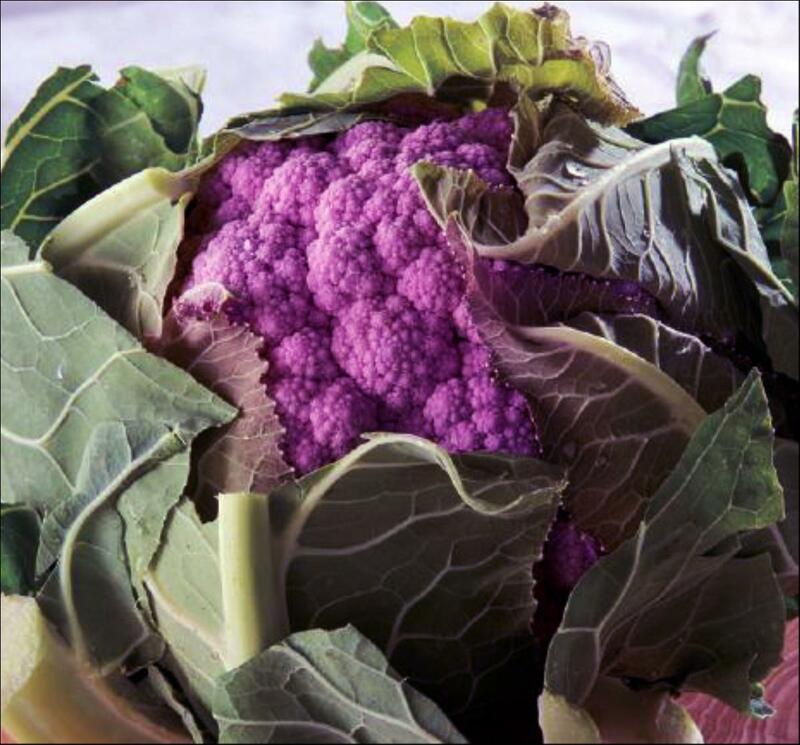 Lila is a Mini Purple Cauliflower with maturity around 9-16 weeks. Harvest all year round in regions with moderate climate. Head size 80-90mm (160-200gms). 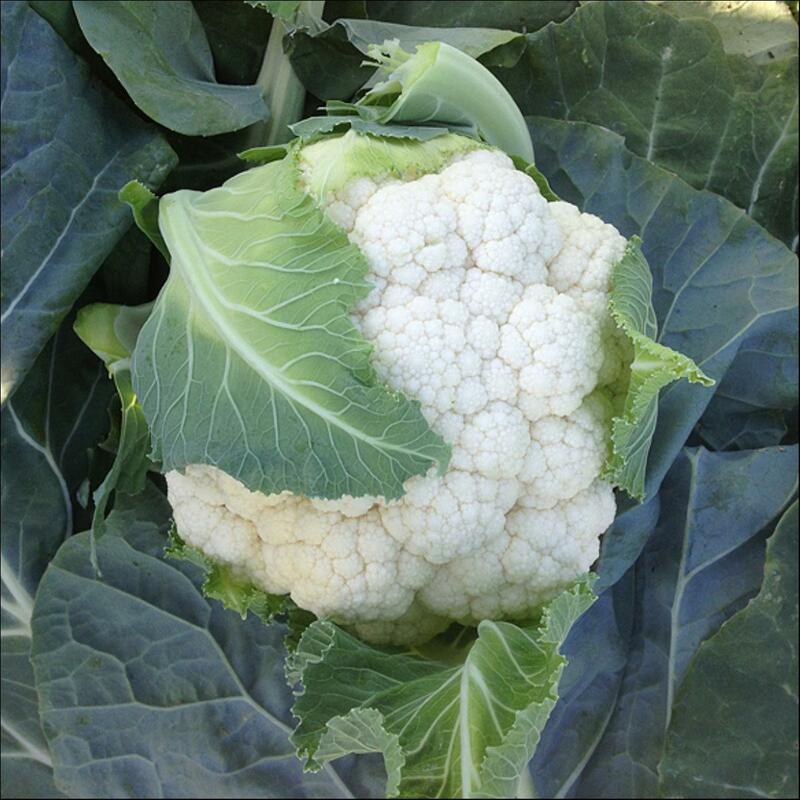 Maiko is a Mini White Cauliflower with maturity around 11 weeks. Harvest late autumn and winter for cold areas. Head size 80-100mm (160-220gms). 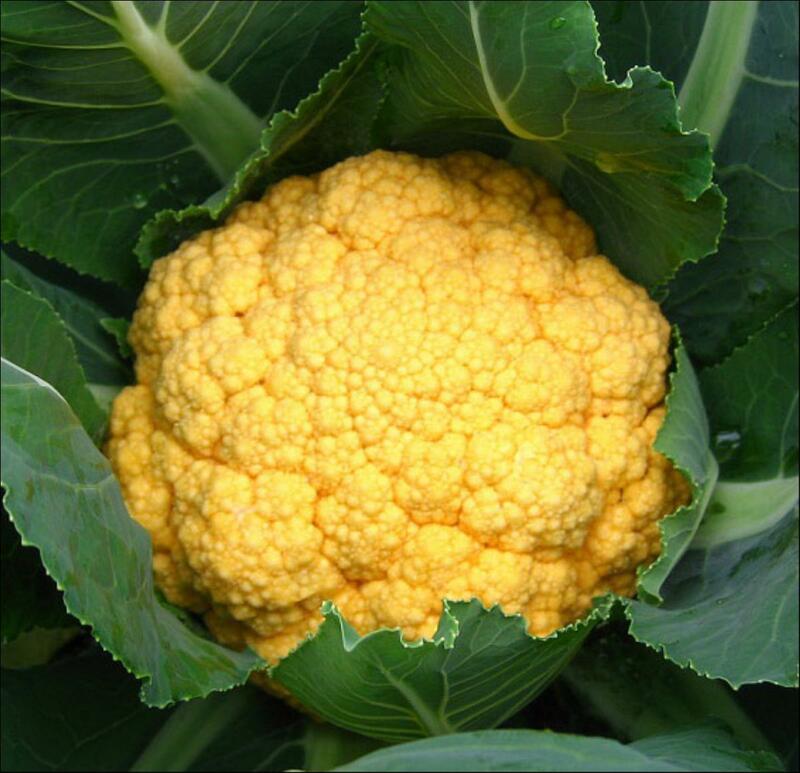 Mulberry cauliflower has a vigorous and erect plant with good jacket. The curd is domed, and a unique purple colour which is maintained after cooking. Maturity 85-95 days in mild areas. Nara has a tall vigorous and erect plant. Curds are a smooth, white, semi dome shape, maturing in 13 to 14 weeks. Nara can be harvested in Autumn and early Spring for cooler regions and Winter in milder areas. 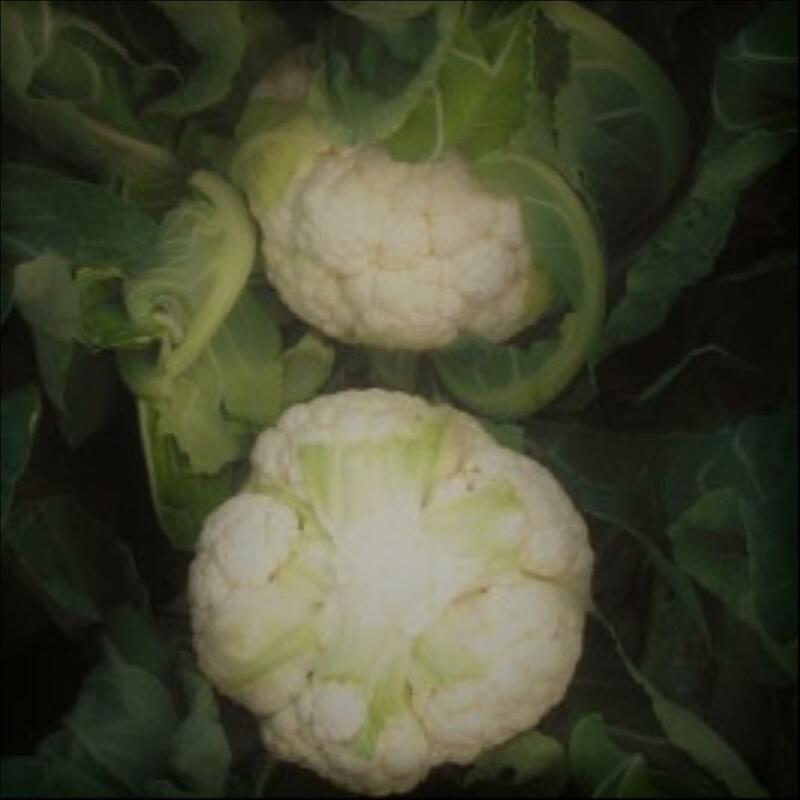 Obi is a Mini Green Cauliflower with maturity around 11 weeks. Harvest late autumn and winter for cold areas. Head size 80-100mm (160-220gms). 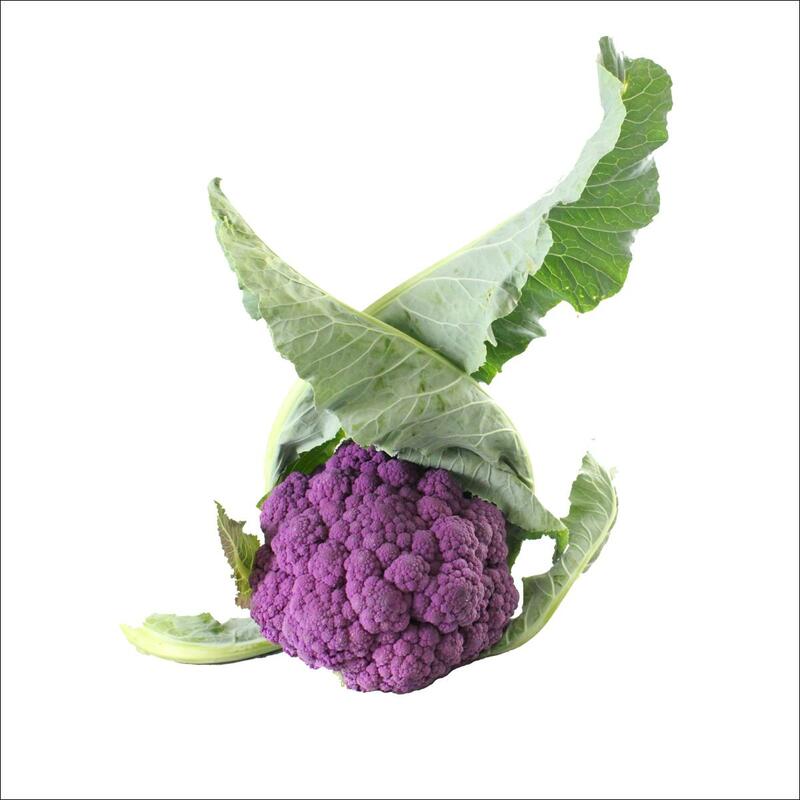 Tanto is suited autumn and spring harvest in cooler areas and winter harvest for warm areas. It has a vigorous upright plant, with very good tuck. Maturity is 12 to 14 weeks. Curds are solid white,well domed deep and smooth texture, between 1 and 1.5kg, with good tuck. Suitable for fresh market and industry. 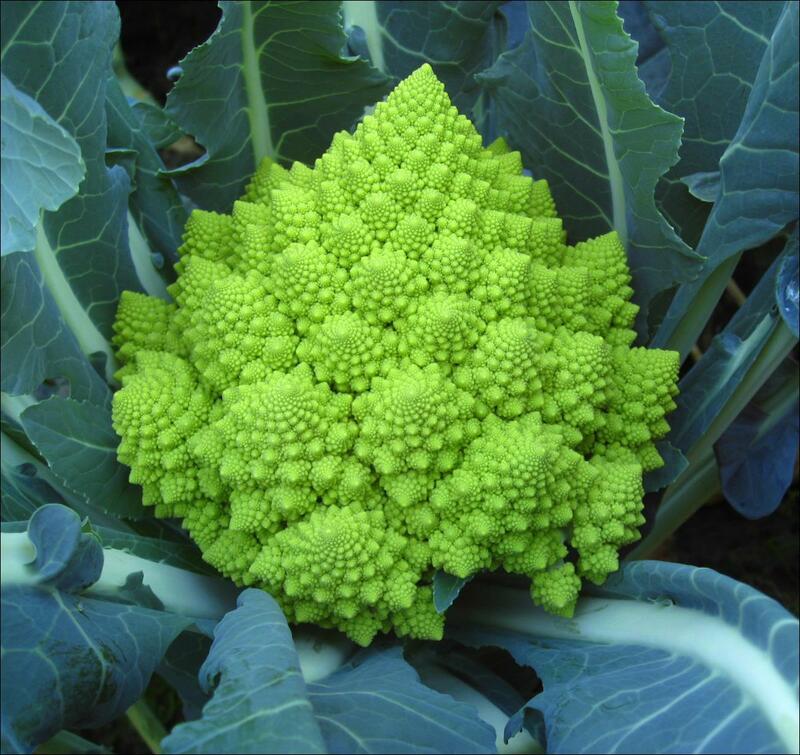 Vortex is a Romanesco type mini cauliflower. Maturity 100 days from winter harvest. Weight 0.8-1.5kg. Vortex has good cold tolerance. Test in winter months.